First Class Warehouse building with large open office area! Building is 8,859 SF and was built in 2006. Very nice finishes throughout the premises! Warehouse has high bay lighting, 2 roll ups estimated at 14' x 10' as well as two additional roll ups estimated at 12' x 10' and is very very clean. There is is also a large covered canopy on the back side of the building that is not included in the square footage, with a loading dock with truck well. Property is perimeter fenced and allows for large vehicle drive around the facility. Office is approximately 1500 SF and has an open configuration with bath and kitchenette. 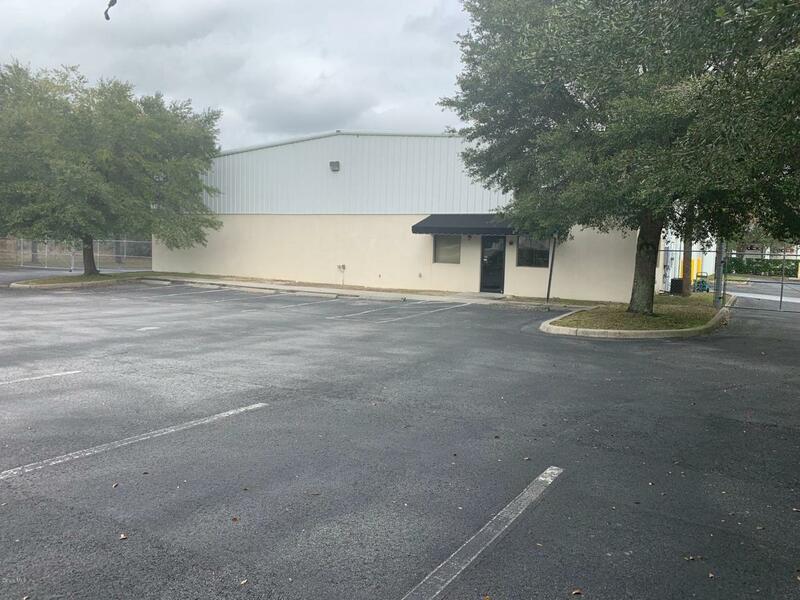 12 regular and 1 Handicap spots up front plus extensive paved areas all around building. Easy access from SW 60th Ave with proximity to I-75 + major roadways around Ocala.